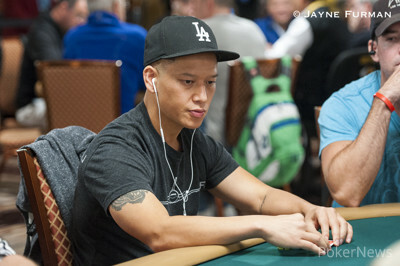 Two players limped into the pot before Tuan Le raised. He was called in three spots making four-way action going to the flop. On the flop, action checked to Le, who bet. He was called by two players. The turn was the and once again action checked to Le. He bet and was called by both players. On the river, action checked to Le again. He bet, but this time was only called by one player. Le showed for trip aces and an eight-six-four low, but his opponent showed for a better trip aces, but a worse low, so the two chopped the pot. With a board of and just over 1,500 worth of bets in front of each player, Chino Rheem put out another bet against one opponent. The player didn't take too long to call. "Ace-deuce-four," Rheem said showing . "Ace-deuce-six," his opponent said, showing for a better high hand. The two split the low, but Rheem lost the entire high hand to only take a quarter of the pot. Action folded to Benny Glaser who opened with a raise. Everyone folded to the big blind who called. On the flop the big blind checked to Glaser who bet. The big blind called. 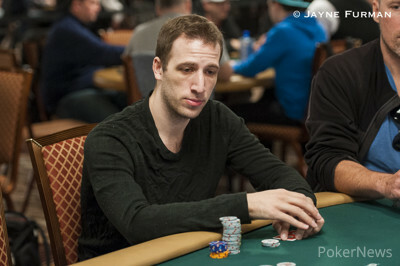 Action repeated on the turn, when the big blind check-called a second bet from Glaser. On the river both players checked. The big blind showed for aces up and a low that was good enough to scoop the pot. 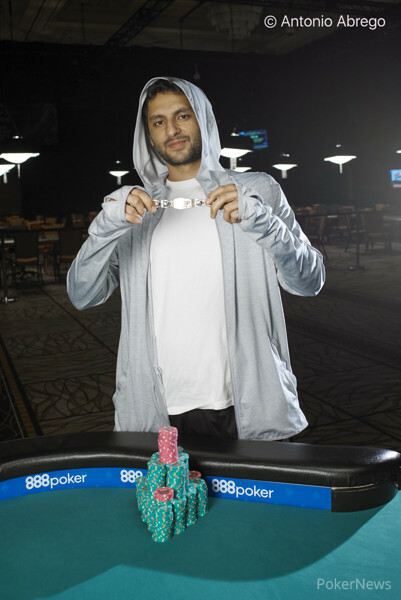 After preflop action, Aaron Steury faced off against Shirley Rosario and one other player. The flop came down and Steury bet, both Rosario and the other player called. The turn was the and Steury moved all in for his last 25. Both players called. The river was the and Rosario check-folded to a bet from the other player. Steury showed while his opponent tabled, . Both players chopped both the high and the low with the same straight and low, and Steury stayed alive. Valentin Vornicu limped under the gun. To his left a player raised. Both blinds called, as did Vornicu, and the four took a flop of . Action checked around to the raiser and he bet. All three players called. The turn was the and action checked to Vornicu. He bet and was raised by the original raiser. Everyone folded except Vornicu, who called. The river was the and Vornicu checked-called a bet. The other player showed for a set of fives and that was enough to scoop the pot.